Have a thrilling stag do and try this cool sport! 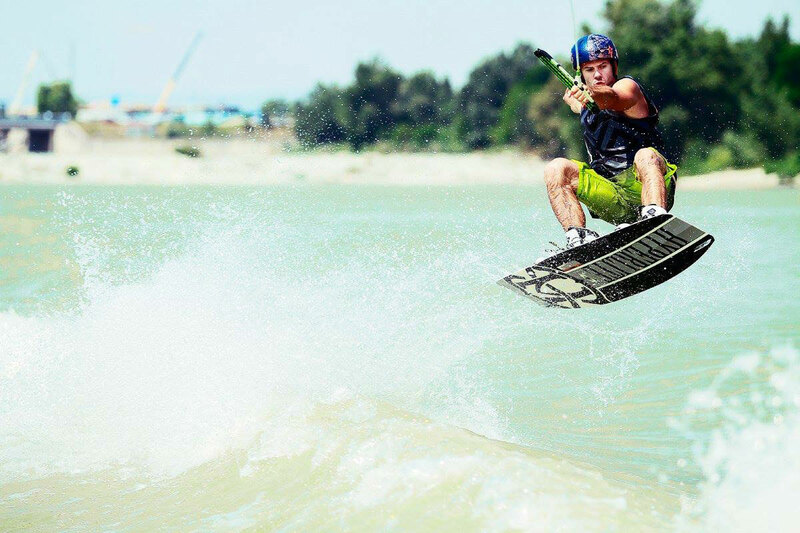 Wakeboarding is one of the most popular water sports nowadays. No wonder, it has it all – speed, fun, exciting tricks and adrenaline! If you haven’t tried this great sport yet, you should definitely change it and sign up for it! This activity is perfect for those who want to learn to wakeboard or improve their wakeboarding skills, as it offers 60 minutes long ride on the lift (which is easier compared to being pulled by a boat), as well as for skilled wakeboarders, as despite the impression you might get it allows you to perform all the tricks performable behind the boat. Both the instructor and the necessary equipment are available at the venue, so all you need to bring is your zest for adventure!